Chemical manufacturer in Wetherill Park, Construction Chemicals offers ceramic tile adhesives, waterproofing membranes and more other products. Construction Chemicals has been in business since 1974 and has grown into one of the most respected ceramic tile adhesive, waterproofing, and repair product suppliers in Australia, New Zealand, and the Asia-Pacific. Construction Chemicals has a long and successful history of research and development into improving its products' performance and keeping abreast of an ever changing building climate. Demands on product integrity have never been greater, but with a dedicated team of highly qualified technicians and heavy investment in their new high tech, state of the art laboratory in Adelaide, the company is placing itself at the forefront of a very competitive market. 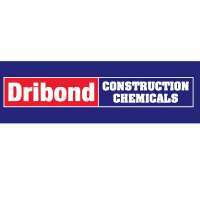 For more information on these products, contact Construction Chemicals today.